However, there is good news for SEO. Google is still growing, along with searches. 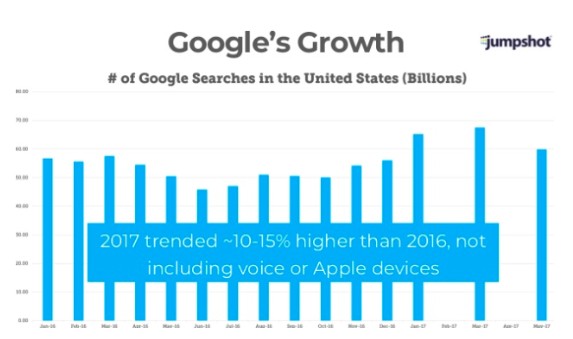 In 2017, Google’s growth trended about 10-15% higher than 2016, not including voice or Apple devices. In addition, for every paid ad click on Google, there are 20 clicks to an organic result. What can we take from this data? 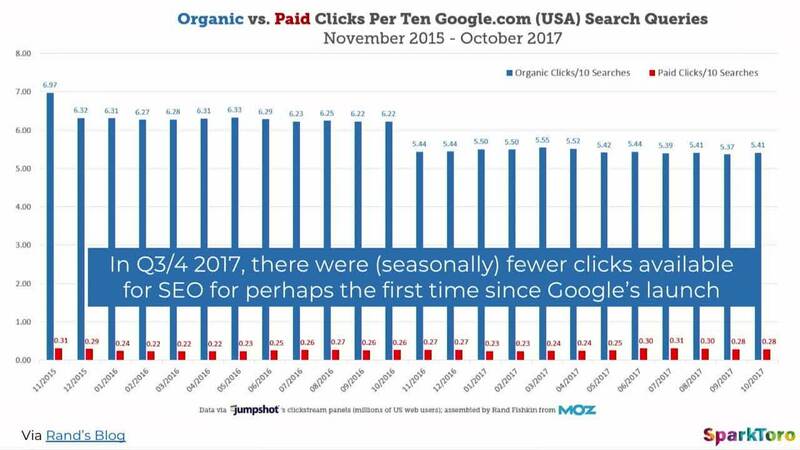 SEO is still on top (even over PPC) and every business sees positivity in SEO. With the popularity of SEO, this means that because more people are invested in SEO, it is harder to stand out from competitors. 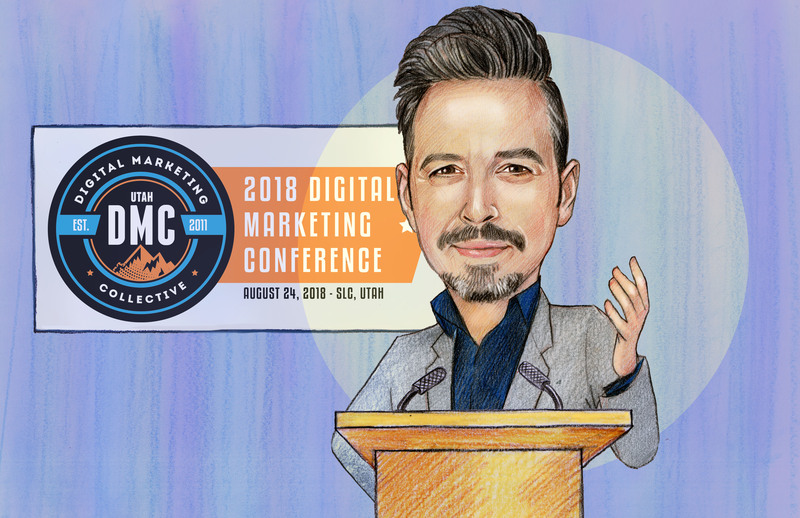 Because of this, marketers need to invest in ROI channels and opportunities to rank higher in Google and other search engines. One way to do that is to look at where your referral traffic is coming from and determine where your focus should be for greater impact and return. So, what are the web’s true top traffic referrers? 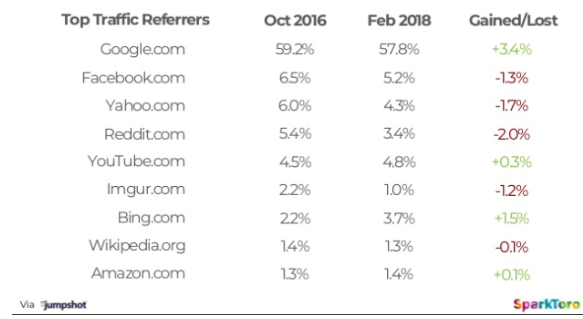 Comparing February 2018 to October 2016, Google.com came in at the top of the list with a 3.4% increase in referral traffic. For referral traffic, we have also seen from the data that content is not evenly distributed (at least not across all channels). 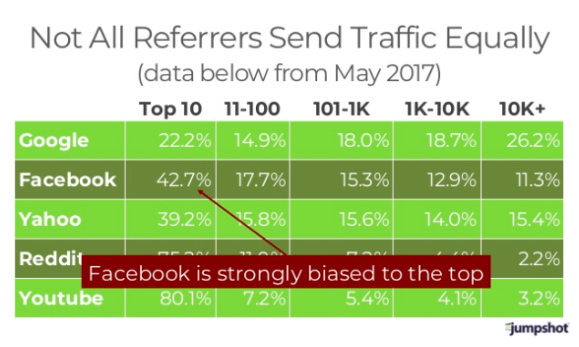 For example, from the data below, Google distributed data equally whereas Facebook is biased to send traffic to content only ranking in the top 10 positions. However, don’t focus on SERP rankings—focus on SERP features, which is where we are seeing the massive impact. 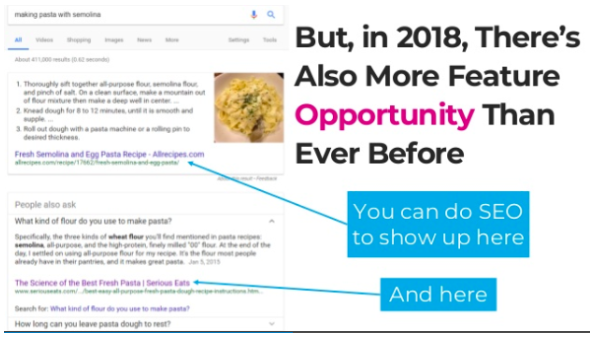 In 2018, there has been a greater opportunity for features to potentially rank in the answer box along with the first 5 positions of Google. While looking at desktop, it is still important not to ignore mobile. Marketers who ignore mobile are missing opportunities to provide valuable content to connect with customers. Remember, if you aren’t doing it, your competitors are. During his presentation, Rand brought up a great point about Google sacrificing ads in favor of answer boxes. Why would they do this? The answer is simple: more searches. By providing people better content to answer questions, they are constantly improving the user experience which means less competition for Google. However, that said, Rand warned that ads can still provide answers too and, although we haven’t seen this much, who knows what the future holds? SEO is growing and the data is backing up what many marketers know. To be successful in 2018 and beyond, the key is to understand your customer’s journey and to capture them throughout the funnel; not just during the awareness and consideration parts of the journey.